Pembroke resident, Matthew Bowman, will join the Pearisburg Community Market in April as the new Market Site Manager. He is a graduate of Emory and Henry College with a degree in Environmental Studies. Since moving to Pembroke, Bowman has been a small-scale producer, growing Hydroponic Microgreens. Pembroke resident, Matthew Bowman, will join the Pearisburg Community Market in April as the new Market Site Manager. Bowman’s responsibilities will include: setting up/taking down the Saturday Market; setting up/taking down the Thursday market; assisting with Farm Table demo booth as needed; acting as liaison with entities providing events at market; coordinating market activities with vendors; assisting Extension with producer training workshops-if required; sitting on sustainability plan task force and communicating results of monthly meetings to vendors; registering new vendors; and, communicating information about double SNAP dollars to EBT/SNAP populations and organizations. “My first priority is to meet the producers who have participated as vendors in 2015, and register new producers and artisans interested in becoming vendors in 2016, “ stated Bowman. The Pearisburg Community Market will open on Saturdays from 8:30am-1:00pm from May 7-November 5, and on the third Thursdays of the month June-October from 5:00-8:30pm. In May the market will be open on the second Thursday evening. “The Pearisburg Community Market invites local and regional growers, producers, and crafts-people to apply for booth space for the 2016 market season. 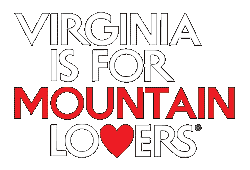 Products sold at the market should be made or produced within a hundred miles of Pearisburg or made or produced in Virginia. Beyond serving as a source for the freshest local produce, meats, garden stock and locally made goods, the market is also a gathering place for the community – a space where friends and neighbors meet, kids participate in weekly art projects and the entire family can listen to music at the Thursday concert series. The market is located on 1410 Wenonah Avenue, on the front lawn of the Pearisburg Community Center, “ concluded Bowman.